A popular way of fund raising has been to sell special commemorative first day covers, often flow in historic aircraft and/or to mark special events. The samples below commemorate Belgian Branch events in 1989 in association with the RAF Escaping Society and the Comet Line. If you have copies of other covers of relevance to Belgium, please Contact Us. 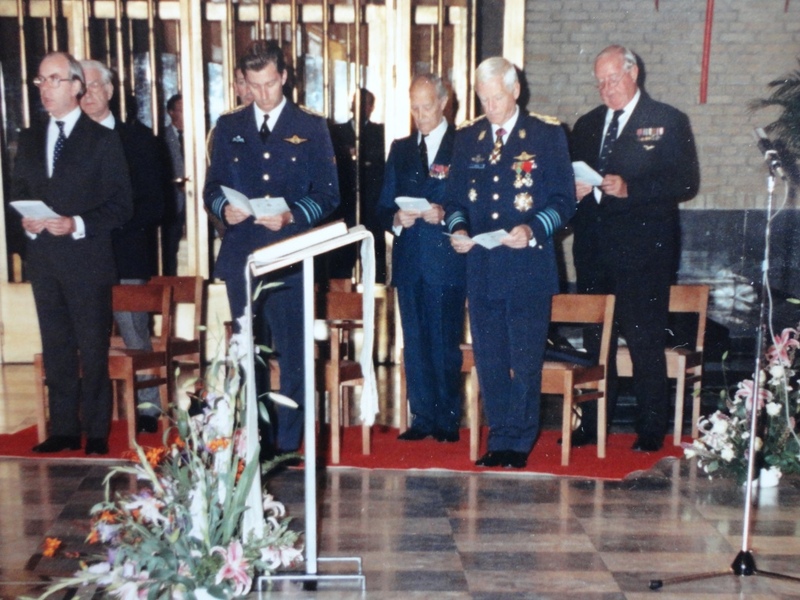 On 15 September 1990 the Branch held a Remembrance Service in the National Basilica Koekelberg to mark the Fiftieth Anniversary of the Battle of Britain. 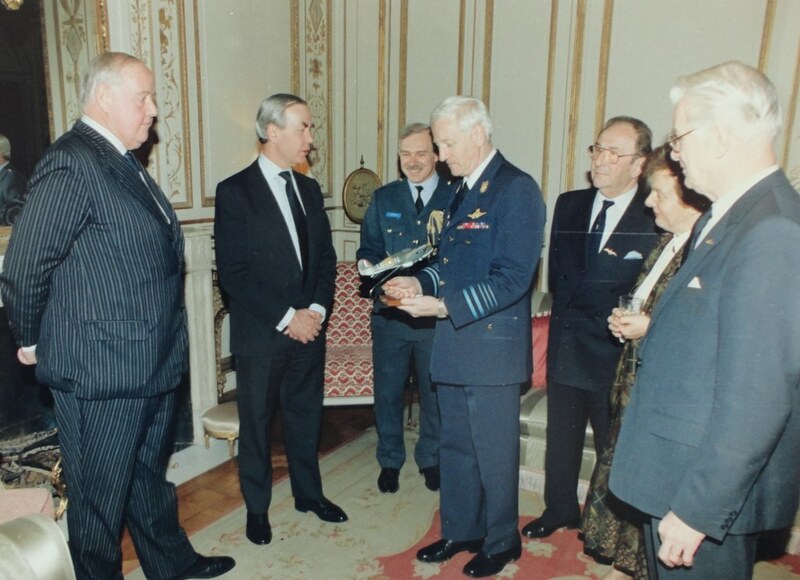 The Guest of Honour was the (then) Prince Philippe of Belgium (now His Majesty King Philippe I, King of the Belgians). The following text is an extract from RAFA Belgian Branch Newsletter Number 26, with additional explanatory text in italics. 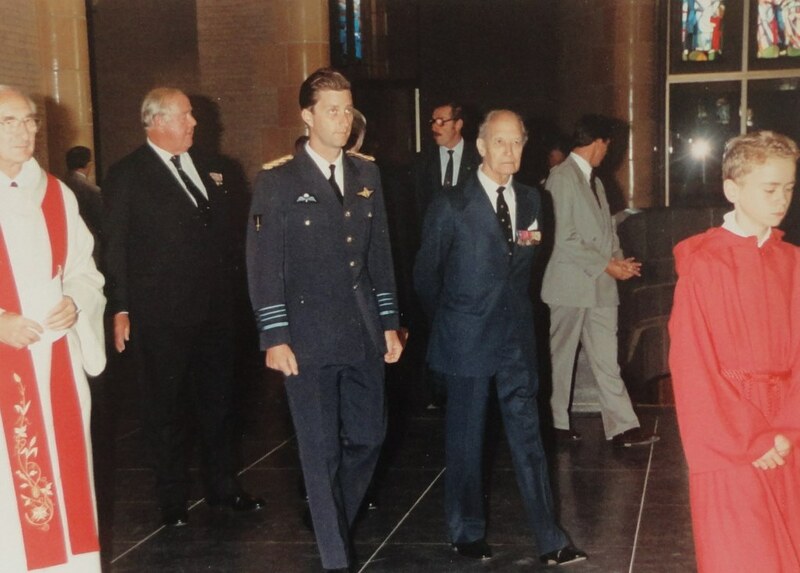 To mark the 50th Anniversary of the Battle of Britain, a special Ecumenical Service of Thanksgiving and Commemoration was held on 15 September 1990 at the Basilique du Sacre Coeur at Koekelberg in Brussels in the presence of His Royal Highness Prince Philippe of Belgium. Also in attendance were their Excellencies the Ambassadors of the United Kingdom (Sir Edward Jackson KCMG), France, Poland, Sri Lanka and Zimbabwe, the Commander in Chief of the Belgian Air Force (Lt Gén Avi Moriau), the President of the European Area of the RAF Association (Marquis d’Amodio et Moya), President of the Belgian Branch (Air Cdre Sir Dennis Mitchell), the President of the Fraternelle des Belges Anciens de la Royal Air Force (Bob Jamine) and some eight hundred members of the public. A focal point of the Service was the Dedication of a Book of Remembrance to the memory of those Belgians who gave their lives during the Second World War whilst serving in the Royal Air Force and the Air Forces of the Commonwealth. 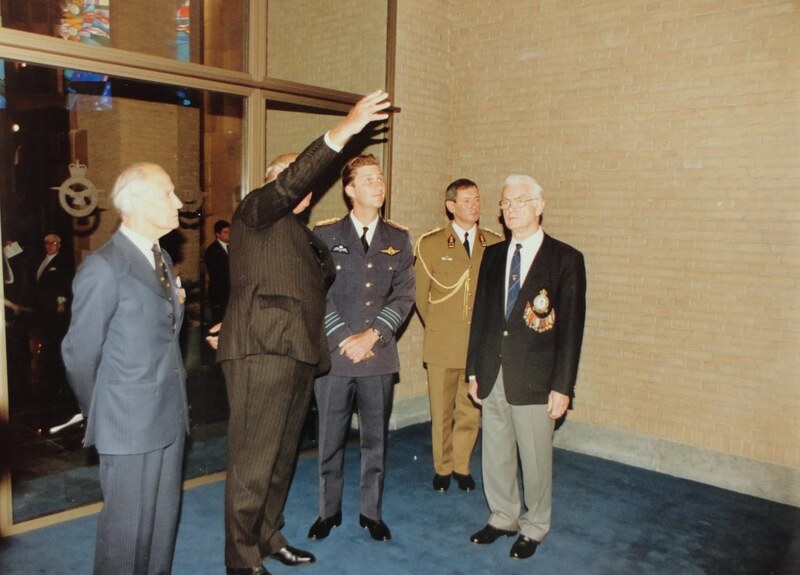 Donated by the RAFA Belgian Branch and presented to the President of the Fraternelle (Bob Jamine), the Book of Honour was given a place of honour in the RAF Chapel in the North transept of the Basilique. Following the Service a reception was given in the Air Museum hosted by the Belgian Air Force and British Aero Systems. 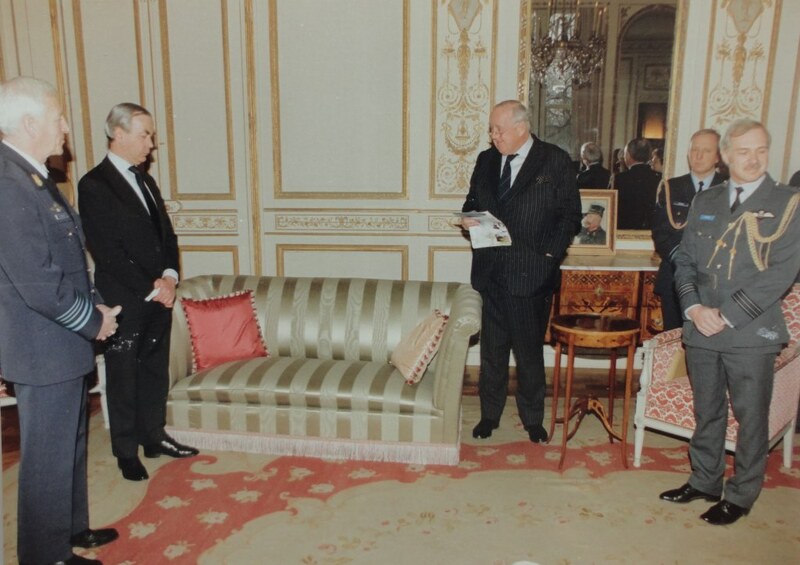 Members of the two Associations were presented to His Royal Highness Prince Philippe. Our grateful thanks to all those who carried out this most important event, not to forget our dear Chaplain Charles MacNeill who wrote the Order of Service and produced such a memorable Homage to our Belgian Comrades. 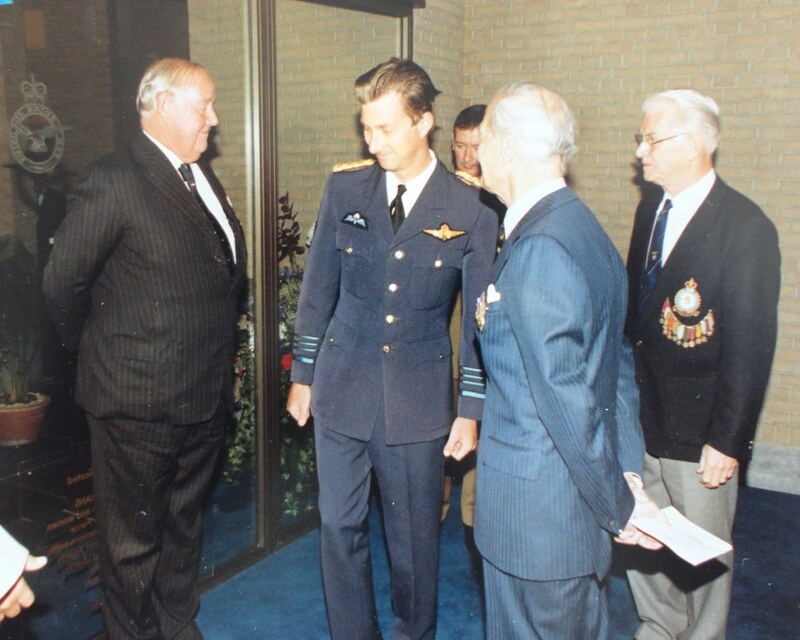 At around the same time, a ceremony was held in the British Embassy to make a presentation to the Belgian Air Force to mark the Fiftieth Anniversary of the Battle of Britain. Photographs of the event are below.